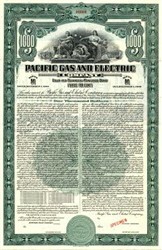 Beautiful engraved specimen $1000 Bond Certificate from the Pacific Gas and Electric dated in 1944. 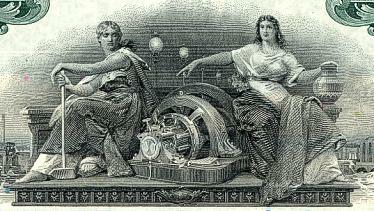 This historic document was printed by the American Banknote Company and has an ornate border around it with a vignette of an allegorical man and woman next to a generator. This item is over 62 years old. 69 coupons attached on right side.